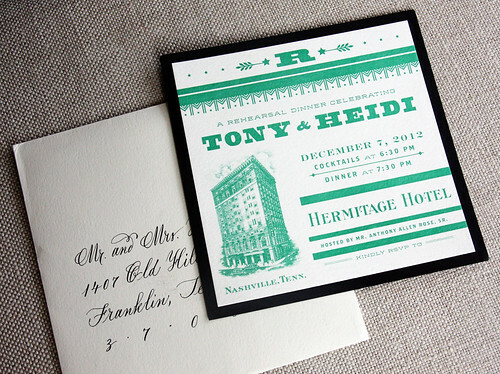 Jingle bells and wedding bells were ringing last weekend for a Nashville couple. 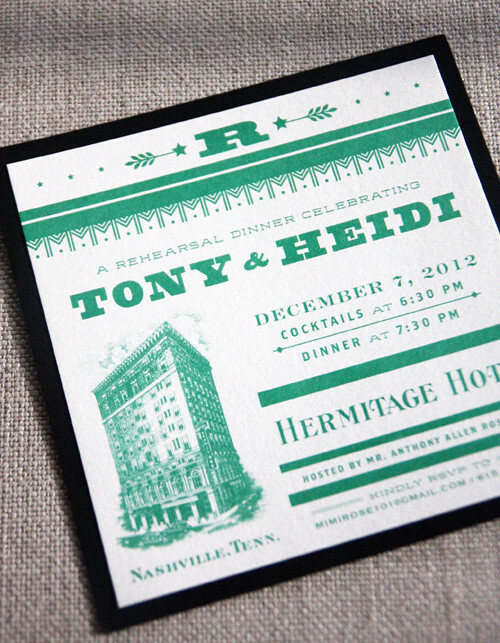 Their rehearsal dinner at the historic Hermitage Hotel really got the weekend started. The hotel is such a beautiful landmark in town. 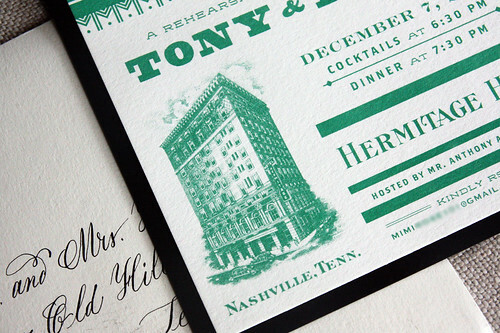 The invitation we designed played off the colors in the infamous mens bathroom. I know that sounds so weird, but it is decked in bright green & black lacquered walls and art deco style. I assure you it's worth a peak inside! We found a vintage engraving of the hotel from some of Bonnie's fathers collection and knew it would be the perfect touch.